Taking things you haven’t paid for is wrong! Now that that’s out of the way, let’s face it: Some folks steal magazines. They just do. Maybe they can’t afford the steep cover price. ($5.99? Yikes!) Maybe they do it for the thrill. Maybe they’re just lazy. Whatever. Anyway, if you’re going to steal—which, guys, you totally should not—here are detailed instructions to make you feel better about doing it. Plus some silly gifs! 1. DO make sure you’re stealing a magazine published by a big media company. Swiping a title from a small, independent publisher? Not cool. But big media companies, like Hearst, have tons of money. So it’s OK to steal from them. 2. DO NOT look nervous. Act casual! Approach the magazine display as if you’re bored or something. Just browsing. 3. DO roll the magazine up. It’s easier to hide under a coat or down a sleeve that way. 4. DO NOT get in the way of paying customers. 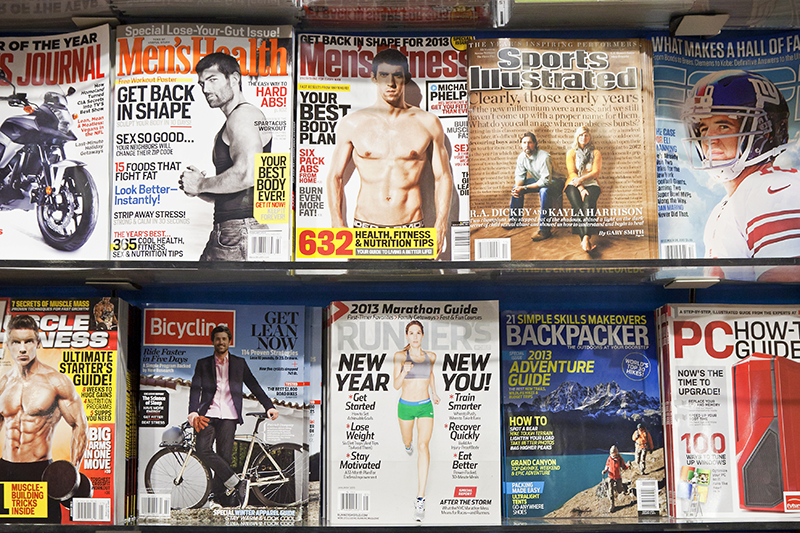 Most folks around you will be there to actually buy a magazine. Respect their space. 5. DO steal a magazine with a lot of copies. Pinching the last copy of a certain magazine is sort of rude. If there are, like, a dozen of ‘em on the rack, well, what’s one fewer? No one will even notice. 6. DO NOT argue with staff if they catch you stealing. Just walk out of the store… and go try another one. Lots of places sell magazines. 7. DO be sure to carry I.D. If you collapse of a heart attack while you’re stealing, you’ll want bystanders to know who you are. Because you are the most important thing in this world. You matter more than anyone, or anything, else. 8. DO NOT leave an angry comment on this article. It’s satirical. Stealing isn’t cute or funny—in any form.